Warning: include_once(/users/ladakhiman/www/rk.com/new2gallery/_kod/sciezki.php): failed to open stream: No such file or directory in include_once() (line 95 of modules/php/php.module(81) : eval()'d code). Warning: include_once(): Failed opening '/users/ladakhiman/www/rk.com/new2gallery/_kod/sciezki.php' for inclusion (include_path='. :/usr/local/php7.2/pear') in include_once() (line 95 of modules/php/php.module(81) : eval()'d code). Warning: Use of undefined constant ELEMENTY_DOKUMENTOW - assumed 'ELEMENTY_DOKUMENTOW' (this will throw an Error in a future version of PHP) in eval() (line 96 of modules/php/php.module(81) : eval()'d code). Warning: include(ELEMENTY_DOKUMENTOWprzycisk-facebooklikeit.php): failed to open stream: No such file or directory in include() (line 96 of modules/php/php.module(81) : eval()'d code). Warning: include(): Failed opening 'ELEMENTY_DOKUMENTOWprzycisk-facebooklikeit.php' for inclusion (include_path='. :/usr/local/php7.2/pear') in include() (line 96 of modules/php/php.module(81) : eval()'d code). 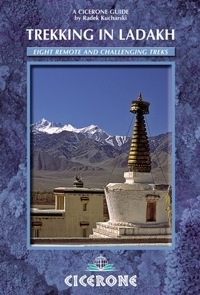 Trekking in Ladakh author: Radek Kucharski publisher: Cicerone Press Second, revised edition; 14 Oct 2015 ISBN: 9781852848309 I have visited Ladakh a few times since the book was first published. I had a chance to repeat some of the routes and to check new variants. The information gathered and the new experiences are reflected in the second, revised edition. 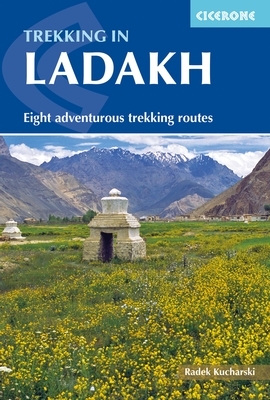 As the previous version, book contains extended introduction about Ladakh's environment, history and culture as well as the trip and trekking preparations. Route descriptions make the main part of the book. They range from fairly easy to very demanding adventurous trails across beautiful and wild terrain. The guidebook is designed for self-trekkers who will find all the information required to trek in this challenging region as well as for group trekkers who may find it helpful during their trip preparations and during the trek itself. Please check the publisher's website to read more about the book. Trekking in Ladakh author: Radek Kucharski publisher: Cicerone Press First edition, 19 Oct 2012 ISBN: 9781852846756 The book is based on my experience of intense trekking in the region; it is the effect of a few years work. Trekking in Ladakh on my own I have covered over a thousand kilometres before completing this book and I still return to the region quite regularly. 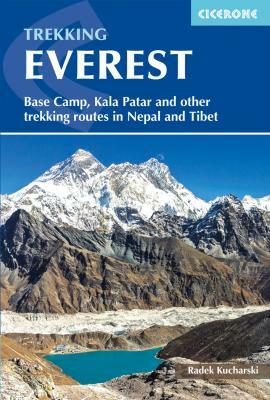 Eight trekking routes of different requirements have detailed description in the book and a vast introduction on the region's culture and trek preparation has been included. There is more about the book at the publisher's website. You will find some updates and comments below. Dziuk E., Renik K., "Wędrówki po Ladakhu", Magazyn Turystyki Górskiej "n.p.m. ", nr 5(146), maj 2013 r.
"A second winter in Ladakh" - an article in the "Cierone Extra"